I had the pleasure of training with Jasen at Cutting Edge Sport Science, a training facility in Albany NY, at cutting edge they train athletes of all ages for all sports, not just powerlifting and strongman competitions. Many a professional athlete has trained there under the tutelage of Dyke Naughton. As an athlete and athletic director I’ve met my fair share of folks involved in the strength game. This year alone I can recall competing in a Powerlifting Meet, 3 Strongman shows, a Highlander and 9 Highland Games including the LW World Championships in Ventura (finished 8th in the World this year). 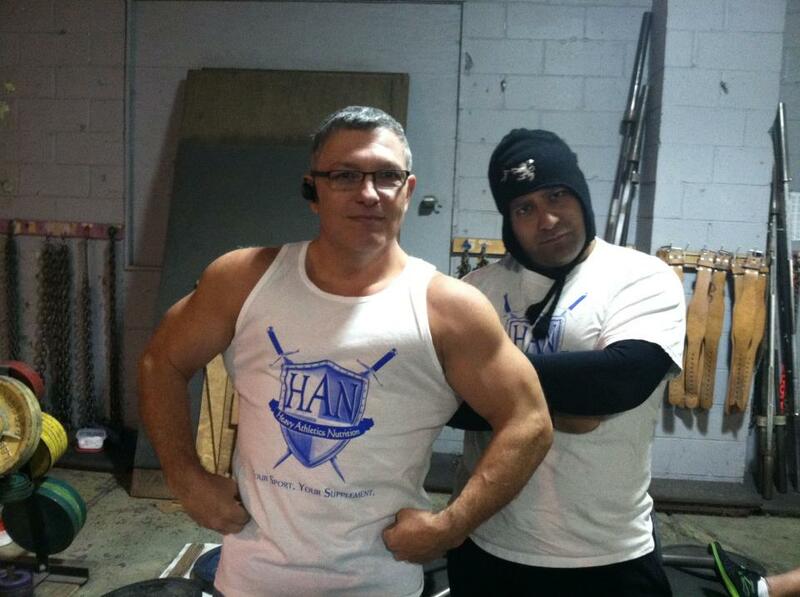 Also ran the Albany Games and Heavy for the Holidays NAS Strongman show. So that’s a lot of faces over the course of the year, all with similar goals. Lift Heavier, get faster and throw farther. Common themes, easy stuff. One other common thread within all these events is the event chatter. Catching up on training, new PR’s and why there are no Highland Games groupies. Through all of this, one thing I’ve never heard, “I feel awesome. I have no injuries. Everything is great”. It’s just not something that happens. As brothers (and sisters) in iron, there is a constant push to improve lifts and tweaks abound. One thing I don’t understand is how athletes will drop out of competitions because of conditions that aren’t perfect for them. Very rarely in the course of any athlete’s career does the perfect situation arise to perform at 100%. The best we can do is to take the opportunities we chose to compete and make the best of them. 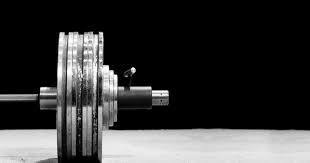 Training, diet and a solid taper is ultimately as good as we’re going to get to hitting those perfect marks. I’ve been through numerous competitions and all I can remember is the love of grinding out the reps, the chalky man hugs and the smiles. I can’t look back at one single competition and remember it as the one I went into with a hangnail, so my stone over bar suffers. What I’m getting at, is how I take it personal when my peers drop out of contests last minute due to asinine reasoning, or even worse, fail to compete at all. We toil weekly with the iron. We grunt. We moan. Why not take opportunity to test yourself once in awhile? Show everyone why you put in these hours. Step on the platform. Gear up and get it done. Everyone started somewhere and no one dominates like Ilya Ilin their first time out. Regret is a horrible emotion and I know that after all the years of competing I’m sure to have a few injuries, and hopefully an even larger trophy case. But, one thing I won’t have is regret. Regardless of where I’m at in my training, if I’m healthy enough I’ll be competing. Tip: When you do decide to compete, keep in mind you are doing this for your own well being. Definitely attempt a personal best at the meet, but also be prepared to not hit the numbers you have hit in the gym. It does happen both ways though. There have been numbers that I hit in the meet that I never hit in the gym and numbers I hit in the gym I have yet to hit in a meet. So I have two PR categories. A meet number and a gym number. For me the meet number is the number I want to improve the most. 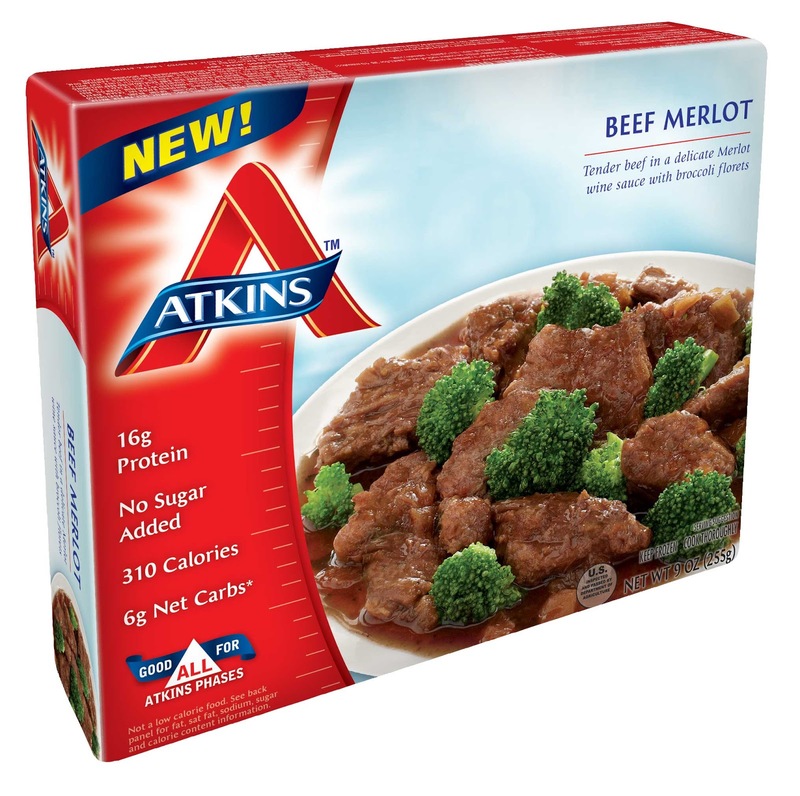 Good Morning everyone as I promised I have a review of the Atkins Beef Merlot Frozen Dinner. This dinner has 21 grams of fat, 16 grams of protein and 6 net carbs. The total carb count is 9 with 3 of them being dietary fiber. Subtracting the fiber from the total carb count gives us the 6 net carbs. This is a perfect combination for a meal choice. In an effort to make my review a legitimate review I have chosen to cook the meal in the micro-wave because this is the process I will most likely use to cook them. I mentioned last week I usually like to cook my own meals from whole natural foods, but also recognize there are times I just need to be able to have something ready to go. For me it is very important to eat on schedule to keep my body fueled. This meal cooks in just 6 minutes. Perfect for when I am in a rush or at work and have nothing handy to prepare. Upon taking the meal out of the micro-wave the first thing you notice is the aroma of the meal. You can really enjoy the merlot fragrance which emanates from the package. I was pleasantly surprised by it. I removed the film cover from the meal and stirred the gravy into the entire meal. 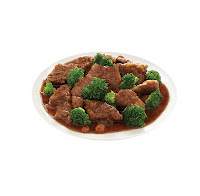 The broccoli had a rich green color and the beef looked delicious and well coated with the sauce. They did not skimp on the amount of the sauce at all. Being a meat fan, I tried a morsel of the meat first. It was very flavorful and tender. I fully expected the meat to have the consistency of Dinty Moore Beef Stew. Which tends to be very chewy and not of a decent grade of beef, I was pleasantly surprised that is was not chewy at all. Now granted it is not a NY Strip piece of meat or a Filet Mignon, but it was much better than I had hope and I enjoyed every bite. The broccoli was very tender and not over cooked at all. It seems to me that the development of new products over at Atkins Corp has taken the time to even get the cook times right. The down side to the meal was the size of the portion. I would have enjoyed a little more in the meal. However with that said I will definitely purchase this meal in the future. The other suggestion I would make is to eat it with a spoon. You will want to enjoy every bit of it. Now as far as your workout I hope you are staying on track and following an exercise program that works for you. 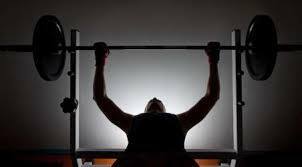 I have 3 exercise programs that you can try. These are not powerlifter training programs are really designed for the average Joe or Jane to get themselves fit. Tip: While planning is vital to being successful with any diet and exercise program. These meals can really help in a pinch. 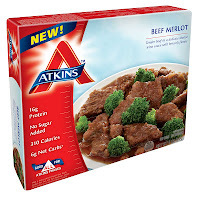 Hello everyone, I know it has been a while since I have written last but I recently had an opportunity to try one of Atkins new frozen Entrees. I was in the market the other day and while I am a big fan of preparing my own meals, I have to be honest that sometimes being pressed for time makes me make choices I normally would not make. Atkins has recognized this dilemma and has chosen to start producing frozen Atkins Dinners. I procured 3 of these meals and will blog about each of them, with my next few posts. The first meal I tried was the Chicken & Broccoli Alfredo. This meal has 5 grams net carbs, 20 grams of fat and 26 grams of protein. This is a perfect mix for a meal. The 26 grams of protein is perfect amount of protein for the most people, as the body typically is unable to process more than 20 to 30 grams of protein without storing the excess as fat. Athletes like me and many of my friends can definitely partake of a higher gram count. However for most people this is perfect. The meal takes 4 minutes to cook in a microwave and in a conventional oven it will take 38 to 40 minutes at 350 degrees. I chose the microwave instructions because I was at work when I decided to cook the meal. After cooking the meal I was surprised to see the meal had plenty of eye appeal. For many people the first appearance of a meal and make or break and experience and flavor of a meal. 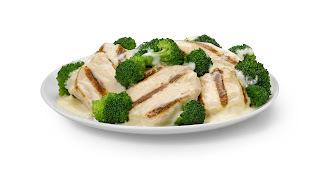 This meal actually has 3 components to it, the chicken, broccoli and the sauce. Upon taking the meal out of the microwave, I stirred the sauce into the entire meal. The sauce was creamy and had a great flavor to it. 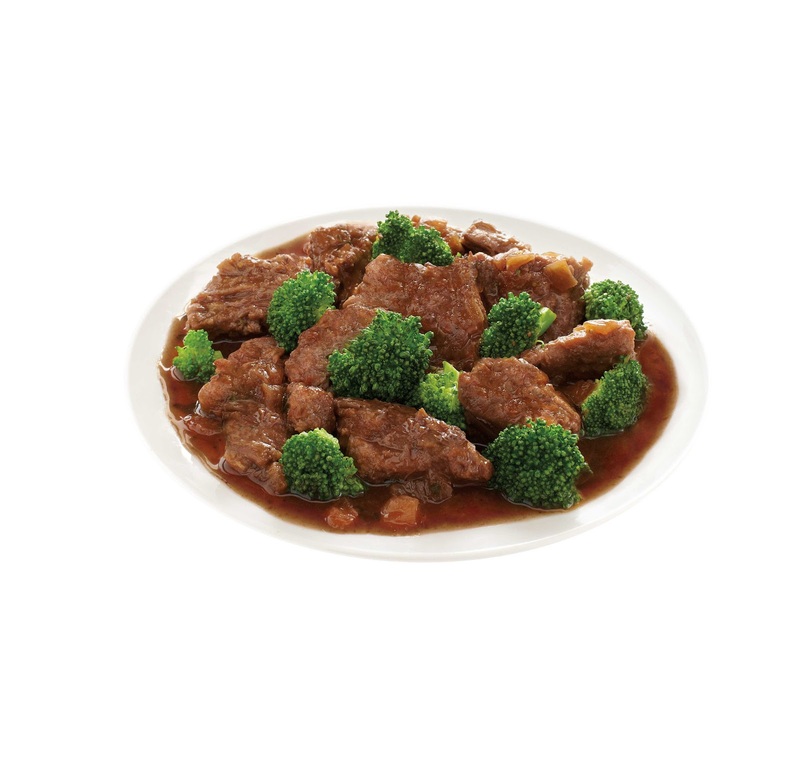 I was pleasantly surprised with this as most gravies and sauces in prepared meals are weak in texture and flavor. This sauce was perfect. The broccoli had a nice bright green color and more of an al dente texture. It had plenty of flavor and was fresh. It seemed as though Atkins took the time to make sure they used fresh products at the onset of the preparation of this meal. The chicken had great texture which is also surprising for a microwaved meat. To many times I have tried a prepared meal to only be disappointed in the meat portion of the meal. The chicken in the meal was moist and had great flavor. Overall this meal was a home run. The only problem was it tasted to good and I wanted more. I guess this is where portion control comes in, my friends, because as my body started to digest the meal I found I was plenty satiated. This is one of the many benefits of eating a lower carb higher fat diet. My training schedule has been a bit perplexed lately. Many changes in family schedules have made my training schedule a bit hectic. My next meet will be in Albany and will be a full geared meet. This means I will train in my bench shirt once a week and squat suit once a week. This should be interesting. I will keep you all updated. 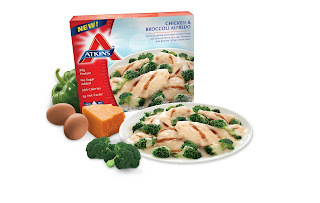 Tip: The Atkins meals should be in your local grocery store and even Walmart. I recently had the pleasure to attend, not compete, a strong man competition. I had a wonderful time watching the lifters and really enjoyed the camaraderie I witnessed. There were a lot of great lifters or all sizes. This maybe something I have to check into someday.